Badmus shared the open letter on her Instagram page. She told the “bad eggs” in the FSARS that most of the accused young men are “hustling,” primarily to make ends meet. She went on to enlighten her audience that wearing dreadlocks is one of the ways young ones earn acceptance into the entertainment industry, and not necessarily because they are doing something illegal. 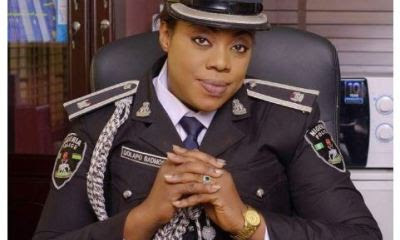 Badmus’ open letter has met with some reactions from her followers, who shared their encounters with the security operatives.